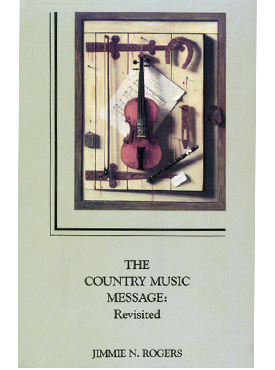 The Country Music Message: Revisited is more than a history of commercial country music, a discussion of the performers, or a compilation of song lyrics. It is an examination of the way the “message” in country songs is relayed and received: why the songs move us as they do. Jimmie N. Rogers is a professor of Communication at the University of Arkansas. He has done extensive research, lecturing, and writing on the content of country songs. He is the recipient of the George C. Whatley award, and his research has been described and syndicated in various publications, including the New York Times and People.